Exclusive self-catering lodge in the breath-taking Barra peninsula, with an estuary behind and the long beach in front... The place to leave your stress behind, explore the underwater wonderland on your doorstep and enjoy the night sky, far away from city lights. The Green Turtle restaurant and bar situated right on the beach, prepare a scrumptious daily menu specialising in succulent seafood. Walks on the beach or snorkel on the beautiful reefs! 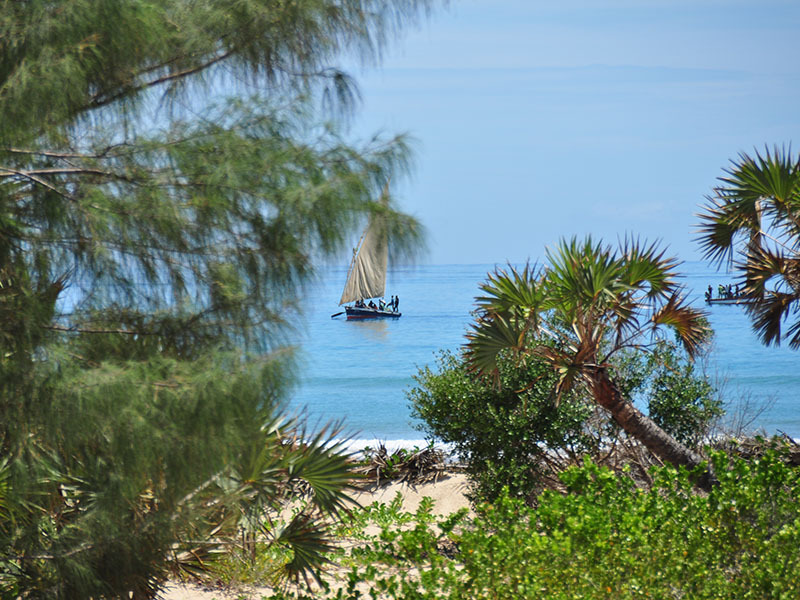 Scuba diving is available nearby and horse rides can be arranged along the beach. 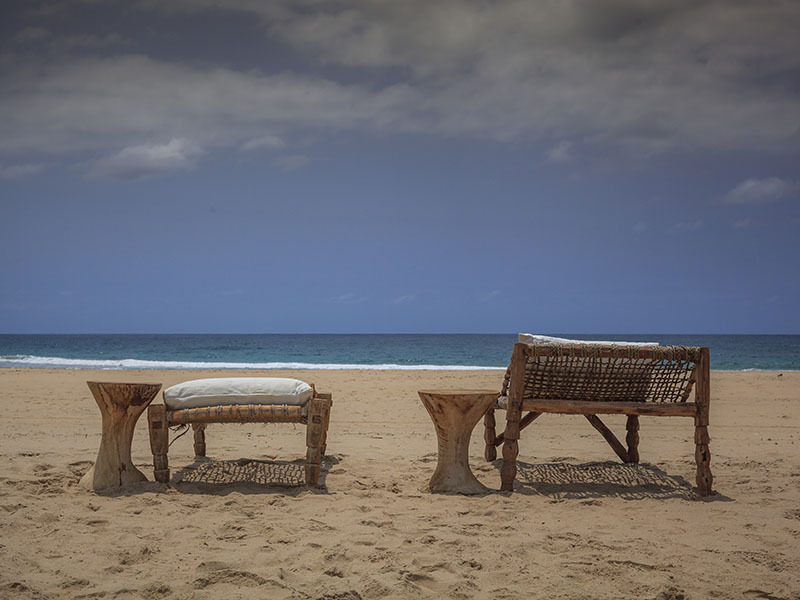 Bayview Lodge and estate is situated on the northern part of the Inhambane peninsula in Mozambique, at Praia da Barra, with a long sandy beach in front and an estuary at the rear. 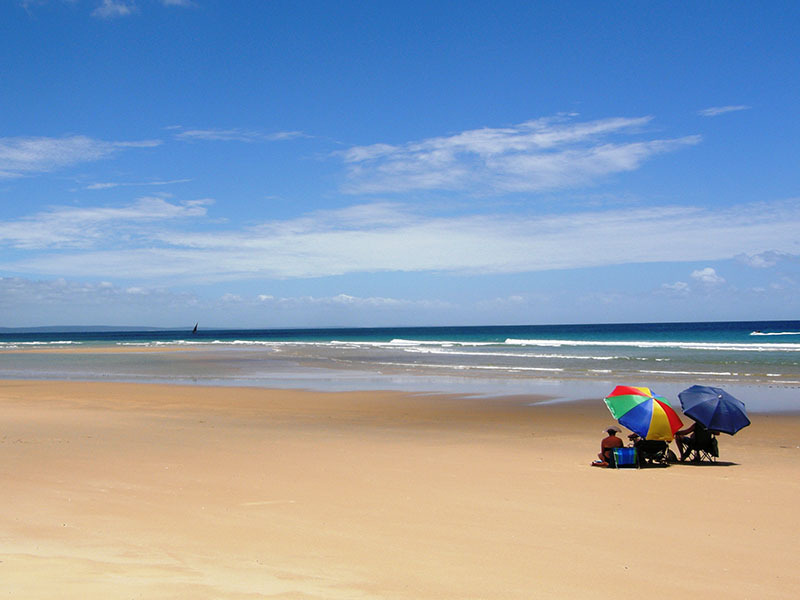 All houses at Bayview Lodge are within 50-80m of the beach where safe swimming is enjoyed. The lodge also has a swimming pool. Scuba diving and snorkelling is possible. 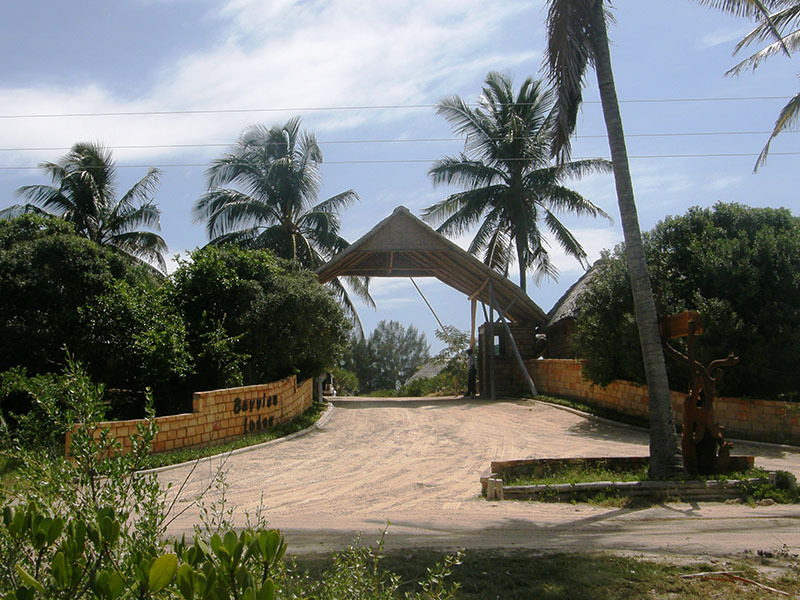 Located approximately 25 km from Inhambane town, 20 km from the Inhambane International Airport, and all roads leading to Bayview Lodge and Estate are easily accessible with a normal car – NO 4×4 vehicles needed. 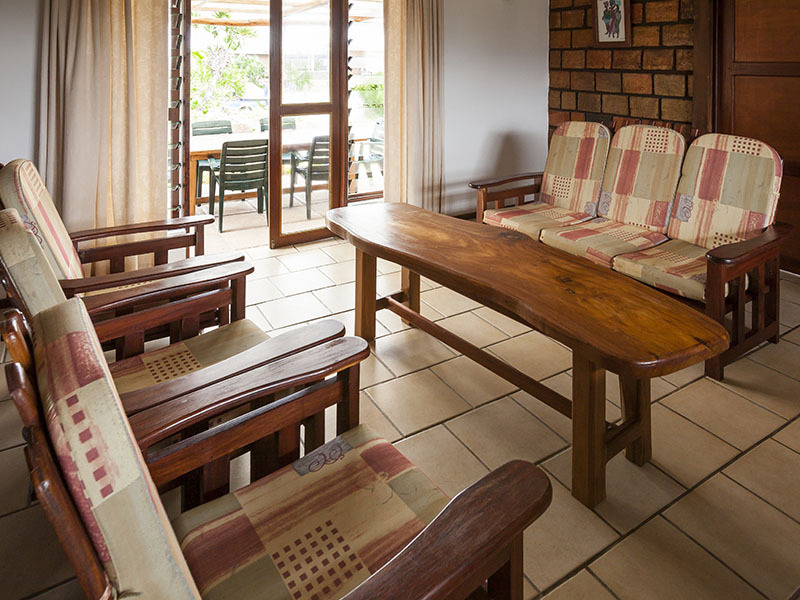 Bayview Lodge offers superior self-catering accommodation, each unit fully equipped, air-conditioned and serviced daily – except on Sundays and public holidays – for guests’ convenience. 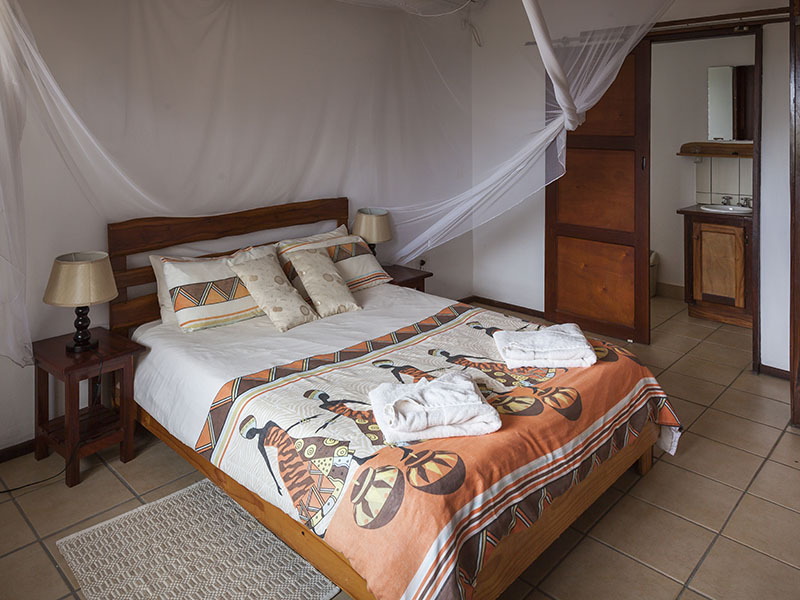 Linen and bathroom towels are supplied and all beds have mosquito nets; guests only need to bring their own beach towels with. 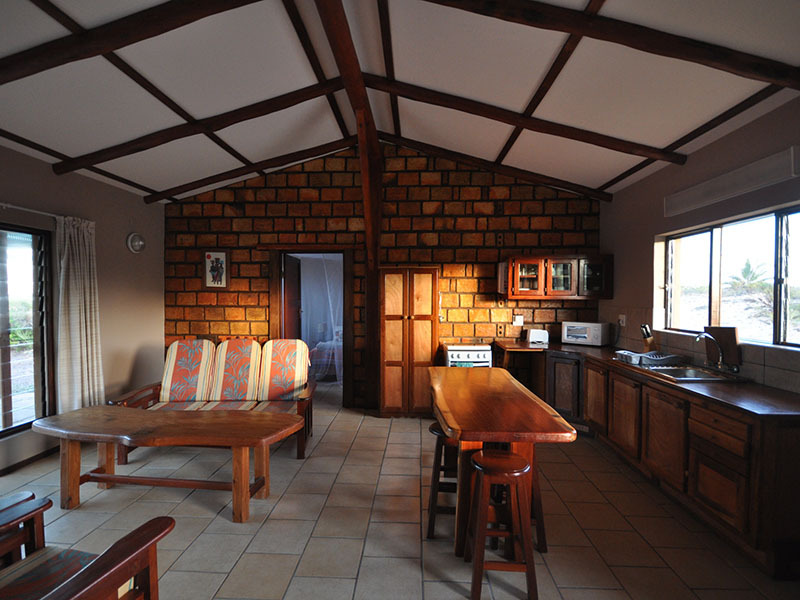 The units are face-brick buildings with thatch roofs and all floors are tiled. All the doors, window frames and cupboards are manufactured on site from local hardwood. 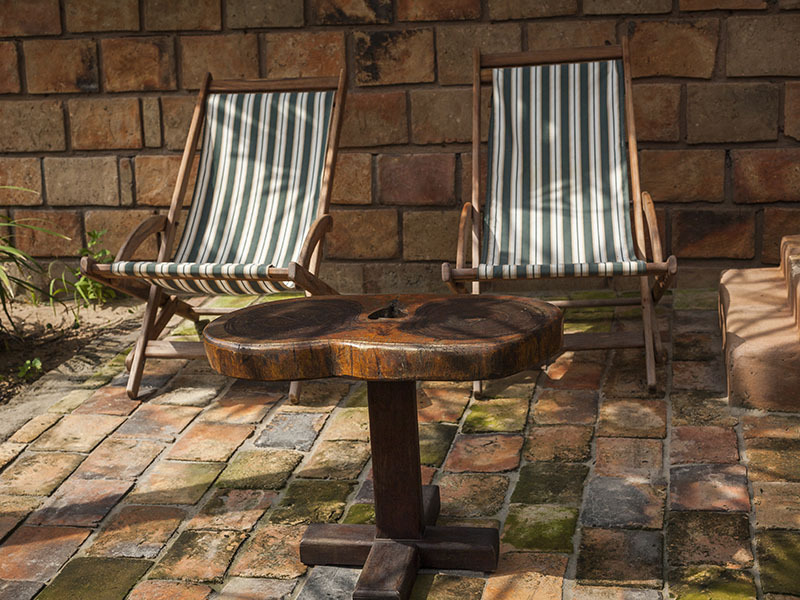 The one-bedroom units are ideal for honeymoon couples, and friends can share two bedroom units, enabling everybody to retreat to the peace and quiet. 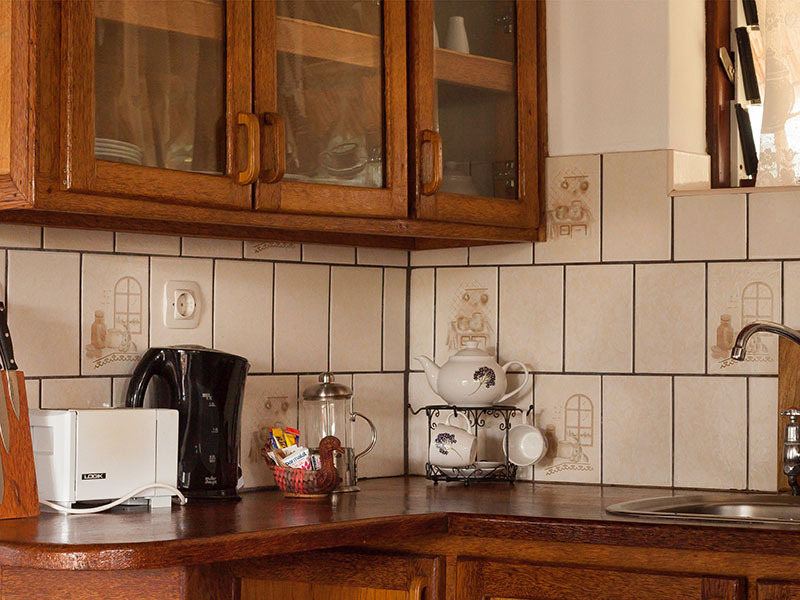 The Group House sleeps 16 and is ideal for large groups, families or a bunch of friends – with the same standard and equipment as the other units, but two bedrooms share a bathroom. For those that do not want to slave over a stove – meals can be enjoyed in the pub/restaurant – The Green Turtle – directly ON the beach. Breakfast, lunch and dinner are served daily. There are also several other restaurants in the area if the idea of cooking is just too much! 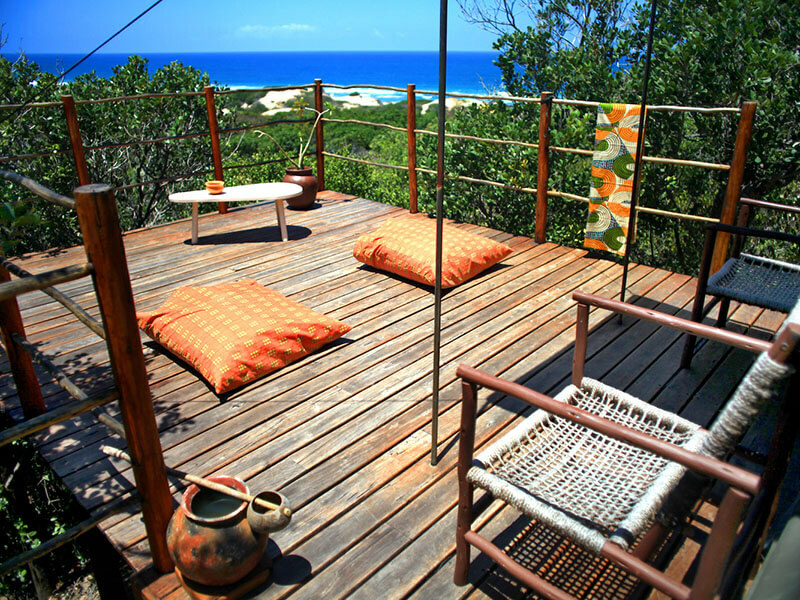 Leaving Maputo behind, follow the “EN1” main road north towards Xai-Xai. Follow the speed limits, especially through towns and villages and wear a seatbelt! The road from Maputo to Xai Xai is in a very good condition and can be driven at night. The road from Xai Xai however should be negotiated carefully at night – vehicles driving without lights and animals/drunks on the road. At “Lindela” a definite split in the road appears with no indicators. 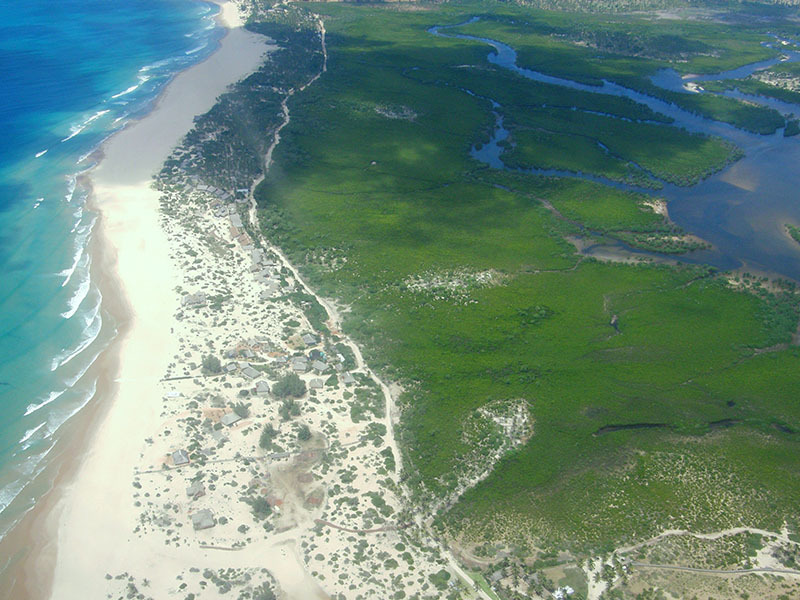 Take the right hand split as it leads to Inhambane ( left split goes to Maxixe and Vilankulos). 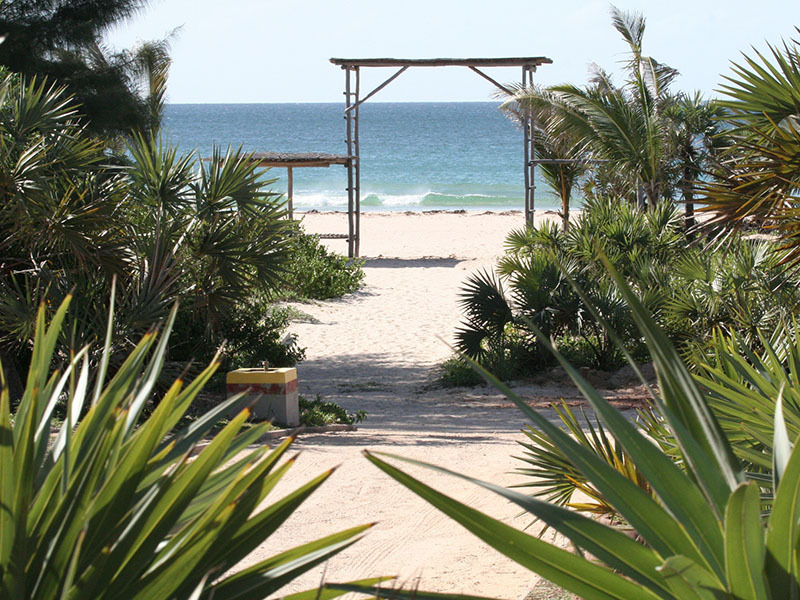 In Inhambane, turn right opposite the pier and follow the directions to Tofo – past the airport. At Bar Barbalaza (on the right), continue straight to Barra (turn right to Tofo if you want to go to the bank). The road ends at a semi-T-junction – here you turn left and continue past Palm Grove Lodge, past Barra Lodge and a few other lodges, …. Bayview Lodge is on the right and clearly signposted – +/- 4-5km from this junction. Only the last 4-5km is dirt road, and easy to navigate with a normal passenger vehicle. All other roads are tarred.